My husband has a favorite quote by John Updike, who wrote, “The true New Yorker secretly believes that people living anywhere else have to be, in some sense, kidding.” I completely agree with the sentiment. My kid is a New Yorker. More accurately, a Brooklynite. No matter where we go, or wherever he decides to live when he grows up, I like to believe that he’ll always be from here and, moreover, of here. And, in the wise words of Russell Baker, “What the New Yorker calls home would seem like a couple of closets to most Americans, yet he manages not only to live there but also to grow trees and cockroaches right on the premises.” Of course, I remember the cockroach when I think of Brooklyn. 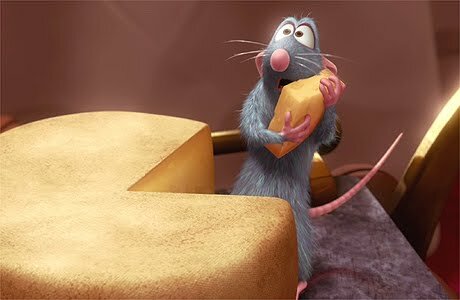 But contributing even more to the popular imagination of New York pests has got to be the rat. When Fionn was born I just had to get him the star of the Deglingos line of toys (at top). His name is Ratos the Rat. 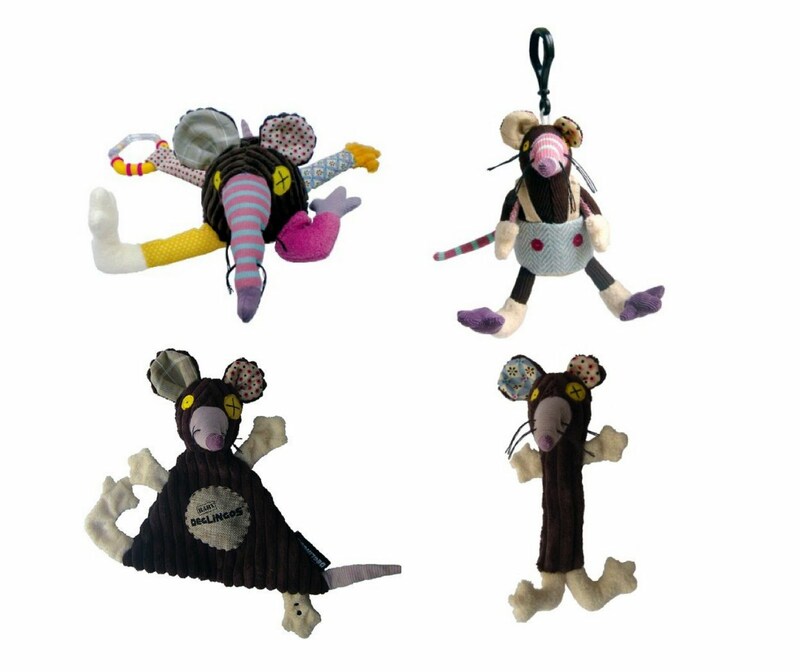 As you can see above, Ratos is featured as an activity toy, a mini plush, a ‘baby,’ and a squeaker. 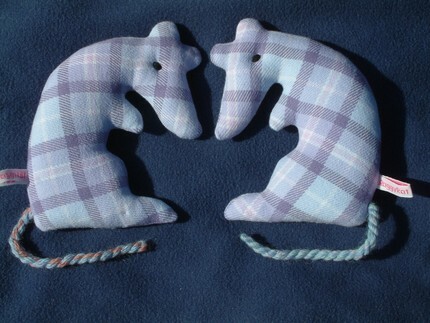 The entire Deglingos line is fantastic and very on-trend with its use of multiple patterns and corduroy fabrics. But I think I like this little girl even better. 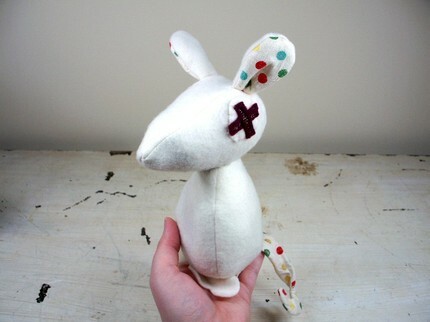 Her name is Penelope and she’s handmade from ‘upcycled and recycled’ materials. As described by her creator, the entire line of LEFTZ (pronounced le-ft-e’s) “are plush softies made with upcycled material from yard sales, thrift shops, or my family. These eco friendly plushies are stuffed with recycled plastic shopping bags and are unique in their own way. Their good eye is made from layered vintage buttons.” It amazes me that they’re created without patterns, which makes each one truly one-of-a-kind. I also love the Raggy Rat Lady, Catherine Owen, from the UK. She also sells plush rats on Etsy in both ‘baby’ and kid versions. See even more at her website. 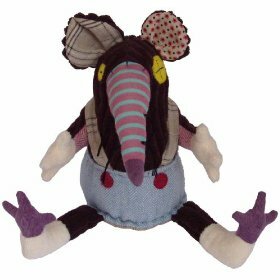 It’s good to see the British also have a healthy appreciation for adorable rat stuffed animals and that the fascination goes beyond Templeton from Charlotte’s Web. 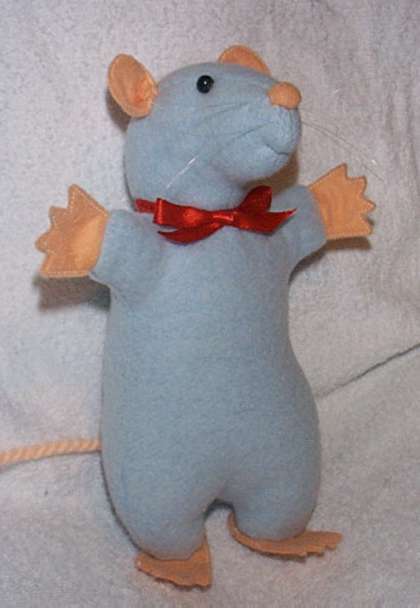 I’ll leave this post on a favorite childhood rat memory.